What is MLM...? Can anyone make money off it? Multi-Level Marketing or network marketing is an age old online program. Here, the individuals associate themselves to a parent company as an independent contractor and are compensated based on their sales of products or service, as well as the sales achieved by their referrals. This is one of the age old ways to make money. Multi-level marketing has a recognised image problem due to the fact that it is often difficult to distinguish legitimate MLM's from illegal scams. At this point of time, simply avoid MLM's. Since, its difficult to find a legitimate MLM online, as of now. Never join a program where you smell something fishy or where something seems confusing. What is HYIP...? Do they actually pay? High Yield Investment Plans, or commonly known as HYIP, as the name suggests, asks you to invest some amount with such online companies. Some may offer you 10%-15% daily of your invetment, while others may boast of offering you a phenomenal 100%-200% of your investment for a period of 30-90 days. You can search for several HYIP programs with the help of a search engine. I won't suggest this as one of the ways to make money online. A legitimate HYIP program is still a question I keep asking to myself. I would suggest, better to stay away from such programs, unless you decide to take the risk. On the other hand, if you happen to come across some really legitimate company which won't shut its doors after taking your money... then please let me know!!! There are several other 'get paid to' programs. Such as get paid to shop online. If you are a regular online shopper, then this is the best place to save some of your money. They provide you with instant cashback for any purchase you make online. The money you save is the way to make money online. Other companies pay you to drive your own car. They simply put a decent advert on your car. So the next time, whenever you drive your car out, you earn money from such companies. Some websites claim to pay you... to preview movie trailors too. While others offer you to play games online. Such earning opportunities are absolute fun. You get paid for things that you have always enjoyed doing online. Please note that all the previous posts on 'Get Paid To...' programs involve country specific participation. The examples mentioned herein, are solely for illustration purpose. There are some GPTR programs which may offer you $100 or above to read their emails. From my experience, I can assure you that such websites never pay. So decide, all by yourself, whether a program you would like to participate into is legitimate or not. Programs pay, but it is upto you to diffrentiate between the right and the wrong ones. This one promises perfect money for stay at home moms, disabled, students, etc. Such companies need your opinion in order to improve the quality of their products and expand their market, thereby ensuring customer satisfaction. To complete their surveys, you simply need to submit their questionaire of some 20-40 questions with multiple choice answers. The more lengthy a survey is... the more cash you make. You can expect to earn $25 - $100 per survey. But remember, these survey sites are very slow earner. You might come across 2 surveys tomorrow or you might come across a single survey after 1 year. And it might take 1 year to reach the payment threshold depending upon the number of surveys taken. Paid to Sign up is another extension of get paid to sites. Such programs are free to join too. In their member's area they show a wide variety of offers to sign up with. Different offers have different sign up criteria. Some may just ask your email address, while others may ask your credit card details. However, most of the sign up offers are free to join. Every offer you sign up with, makes you cash. Its easy to earn here, just by signing up with free offers. This is by far the easiest way to make money opportunity available. These programs are free to join and only ask you to download their small toolbar. These toolbar simply occupy a part of your computer screen, every time you are online, and continuously show advertisements within their frame. It keeps running in the background silently and does not affect your browsing experience or the work you are doing on your computer. They pay you on hourly basis. So, if you spend most of your time online, then this is a perfect way of making cool cash, enough to pay your internet bills at the end of the month. The amount you earn depends on the number of hours you remain online every month. We all know how hard we have been hit by the slowdown in economy across the globe. fiscal stimulus package, speeding growth and increasing tax revenues. reducing military and defence costs by entailing peace in Iraq and Afghanistan. direct cuts in agricultural subsidies. Eliminating inefficient measures, like tax credits that cost more than they are worth in taxpayer errors. After going through this entire Barack Obama plan, I still feel deep within my heart, that where is all the money going......................?!?!? All these plans might work out to bring a better economy and future. But what about my earnings for today? It would work for US, what about other countries' administration...? Yuckkkkkkkk.........did I sound too much philosophical?? So now let's come to my speech.......... Instead of waiting for the economy to recover, I suggest you to take alternative income techniques. During this global meltdown, instead of depending entirely on your day job, which you might lose anyday in the name of cost-cutting, build some alternative source of income. And, what better way than to start building your online empire. Today, trillions of dollars are generated in online revenue. There's never a meltdown here. It is growing virally. There are numerous ways to make money online, only if you know how! Try maximizing your income potential through online income generating websites, through blogging, affiliate marketing, etc. 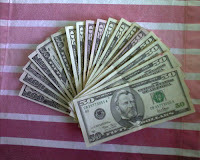 Read some good blogs on how to make money online... Did I say my blog is good too (ha..ha..ha)! I am sure, even during such bad times, you'll make enough money to meet your expenses. In fact, you'll make more than you have even imagined. As described in my earlier post about GPTR websites, many of them also offer get paid to click section. There you just need to click the advertiser's banners available and the cash amount gets credited to your account. Everything is pretty similar to the GPTR post I made earlier, and also the ways to make money out of them. I won't suggest these money making ways, because these are very slow earners. 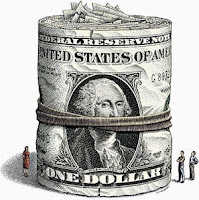 We all wish more money within shortest time possible. But these options will take more time and will pay you pennies. Still if you don't wish to lose these pennies then you can try them out. you for your various online activities. It is you, who decides the legitimacy of such get paid to programs. They pay you to read their emails, click on ads, surf advertiser's websites, sign up with advertiser's websites, shop online, drive your car, take surveys, play online games, etc. Nevertheless, they offer easiest ways to make money. 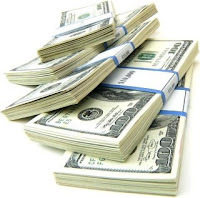 Get paid to read emails is a popular way to make some fast cash online. To become a member is absolutely free. However, some upgrade options are also available to enjoy larger benefits. Such programs send you regular emails everyday with a link. You just need to click those links to visit the advertiser's website, and you need to stay there for a few seconds, ranging from 10-90 seconds. Your account is then credited with the amount the email was worth. Amount can range anywhere from 1 cent to 100 cents. You earn a percentage of your referral earnings too.